Here at Fox Valley Fire & Safety, we are committed to providing life-saving solutions for fire prevention and safety. Our commitment to supporting community members extends beyond our assortment of safety products and services—we also take part in recurring Jeans for a Cause team initiatives. We welcome our team members to bring community service events to our attention, as many of these events hold personal significance for them. 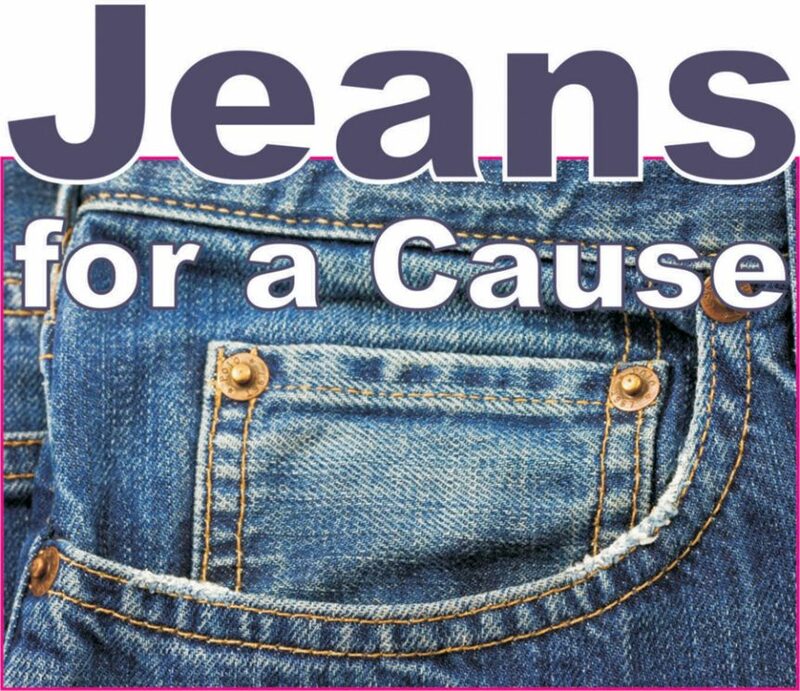 In an effort to support these causes, Fox Valley hosts an office-wide Jeans for a Cause event. Over the past few months, we have hosted events to bring awareness to the Multiple Sclerosis Society, American Heart Association, and services for disabled military veterans with the “Always Faithful” organization. Our goal is to host a Jeans for a Cause event at least once a month. During the day, Fox Valley Fire & Safety team members are invited to wear jeans in support of the cause, as well as provide donations. These events are not only a great way to unite the office staff, but to extend support to the Chicagoland community. In a recent Jeans for a Cause event, our team proudly supported the local Team Rubicon – Region 5’s efforts to restore damage caused by the Fairdale, Illinois tornado, and we were happily surprised to receive positive feedback from Team Rubicon on our Facebook post promoting the initiative. In addition to supporting Team Rubicon’s tornado relief efforts in April, our team also supported a cause that is very dear to our fire protection and prevention services: “Camp I Am Me,” hosted by the Illinois Fire Safety Alliance. The camp provides a safe place for children, ages 8 to 16, who had the misfortune of experiencing severe burn injuries. One of our favorite aspects of the camp is that all donations help to offset the price for the children’s families, so all the burn victims are able to attend free of charge! Our team’s donations for “Camp I Am Me” were made in the memory of West Dundee Fire Lieutenant Thomas Lutzow, the late father our team member, Amy Loukota. Prior to Thomas’ passing, he was a highly active and energetic member of the camp’s team. 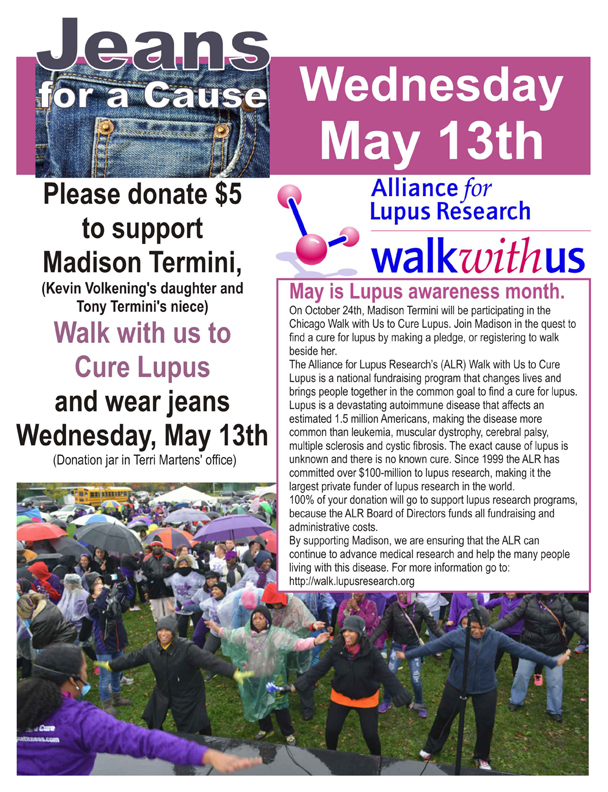 Our next Jeans for a Cause is scheduled for May 13, 2015, and will be in support of the Alliance for Lupus Research. May is Lupus Awareness Month, and our team will be supporting our team members Kevin Volkening and Tony Termini, who each have a family member participating in the Walk with Us to Cure Lupus event. To learn more about our upcoming Jeans for Cause initiatives, visit our Facebook page. The Fox Valley Fire & Safety team appreciates all the support we have received from our Chicagoland community, and will continue to do our part to support our team’s community outreach initiatives.